Come winters and its Citrus boom. Limes, Lemons, Oranges, Kinnows, Pomelos and all the local varieties of Citrus flood the market. 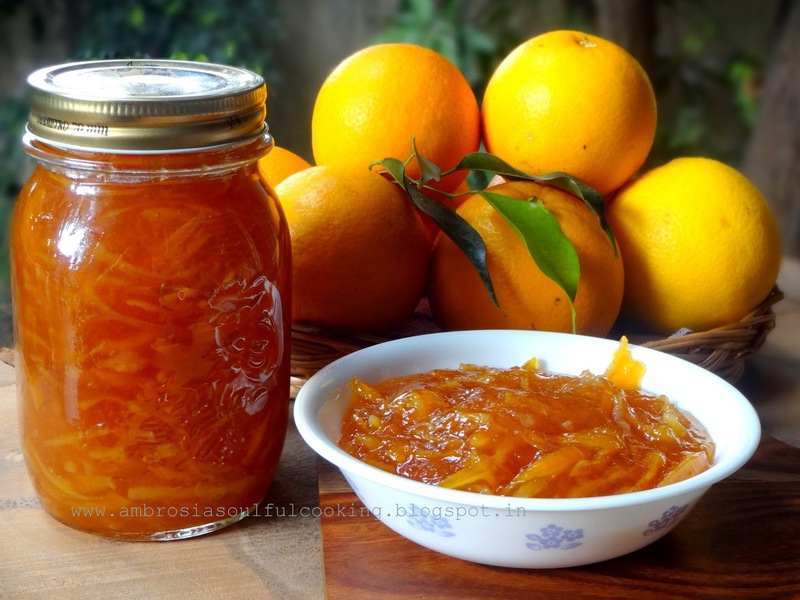 And this is the best time to make Marmalade. Nothing beats homemade marmalade that is chunky and bittersweet. And even when the citrus season is over, you can savour the citrusy deliciousness from the bottle! 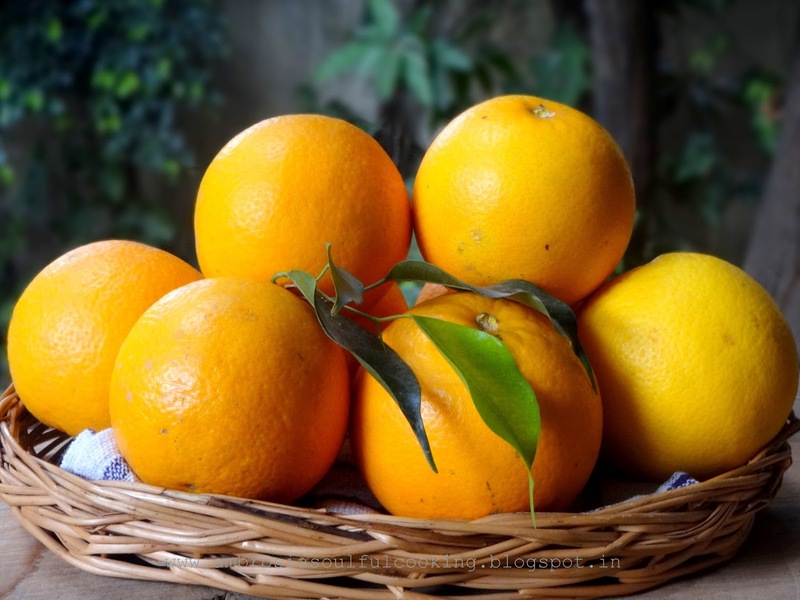 In North, our very own local citrus Malta reaches the market in early winters. Malta (Citrus sinesis) is the most commonly grown tree in the Kumaon hills. It fruits during winter season. Malta is called sweet orange. It is a hybrid between Pomelo (Citrus maxima) and Mandarin (Citrus reticulate). Malta is highly medicinal and has an intense citrusy flavour too. 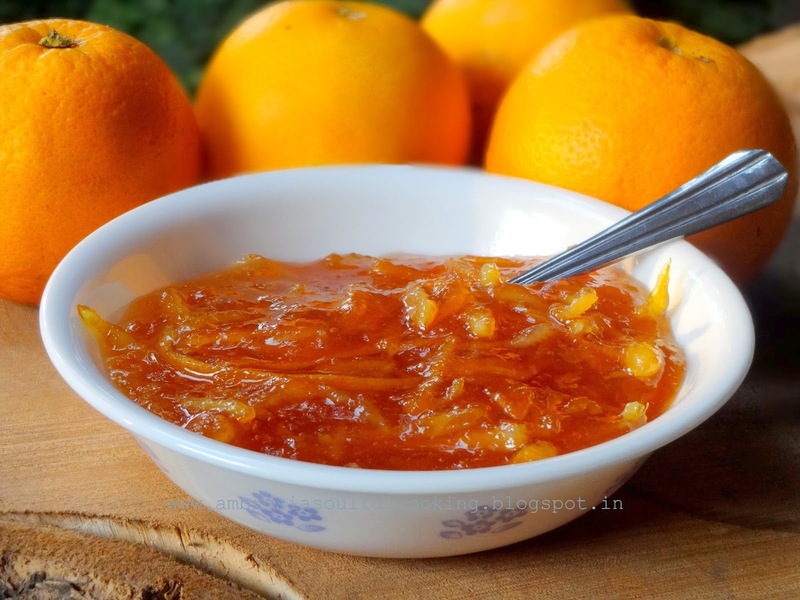 Local varieties are the best for marmalade as the skin is not sprayed with pesticides unlike the commercial varieties that are sprayed and waxed for an attractive look and longer shelf life. 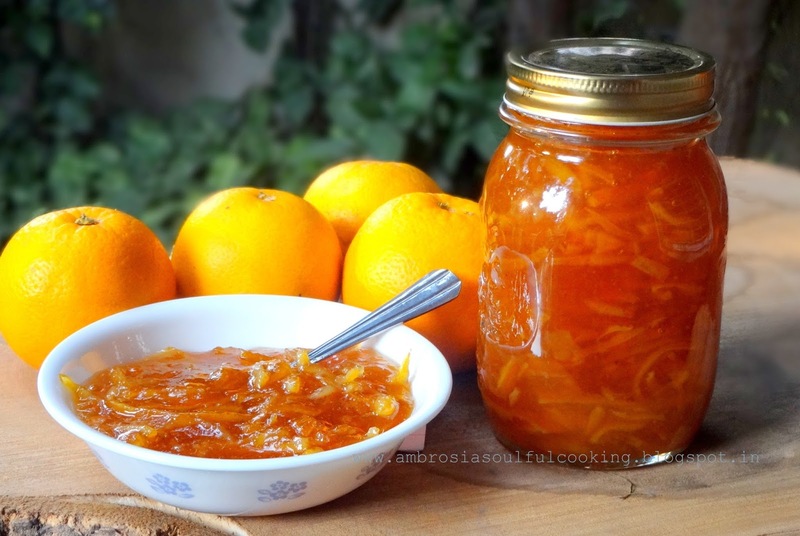 Marmalade can be made with any local variety of citrus or oranges. A hand juicer, a sharp knife, kitchen scissors, muslin cloth, a plate kept in freezer and jars. Wash and wipe the fruits. Slice all the fruits into half. Juice the Maltas and lemons. Separate flesh and seeds. With a sharp knife, scrape out the white membranes and keep them aside. Scrape out as much pith as you can from the juiced fruit. Discard pith. Cut peels (Malta and Lemon) into fine shreds with scissors. Collect all the seeds and membranes and tie them in a muslin cloth. In a large steel wok/container, take juice, flesh, peels and water. Place muslin bag in the side. Bring the mixture to a boil. Cook till the shreds become tender. Keep pressing muslin bag from time to time. Seeds and membranes are rich in pectin. Whitish gel from muslin bag is pectin. It will help the marmalade set well. Turn off the heat. Discard the muslin bag. Cool the mixture and refrigerate overnight. Next morning, measure the mixture. For every one cup, add ¾ cup sugar. Boil. Keep boiling till it becomes thick. To test for doneness, drop a spoonful on frozen plate. Push with a finger. If it has slight a film and collects, then it is done. If it spreads out thin, it needs to be cooked more. Repeat the frozen plate test. To sterilize the bottles, Place the washed and dried bottles with the lids in the oven. Set the temperature to 100 degrees and set the timer to 10 minutes. Remove the bottles and their lids from the oven. 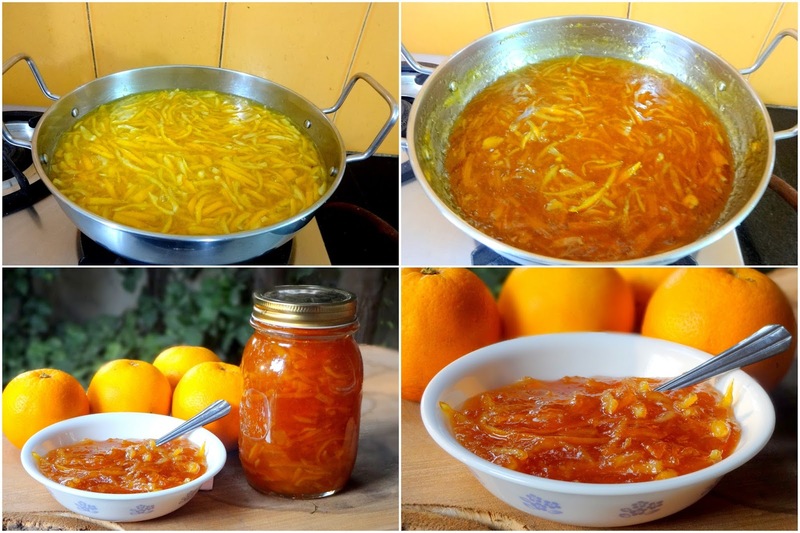 Ladle Marmalade into warm sterilized jars, leaving ½ inch space. This is a nice thing for orange fruit lovers. Even when the orange season goes out we can have this pulp. I also make when the season is on and save them for summers.